Sonic engineers went through hundreds of suspension variations to discover the right blend of handling and comfort. The result is the amazing agility and athleticism of Sonic. 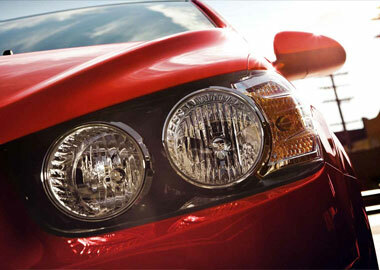 Its standard ECOTEC® 1.8L I-4 engine with 5-speed manual transmission puts the control of driving back in your hands. Sonic engineers took care of business by delivering 138 horsepower and 125 lb.-ft. of torque in the base model. The result? Pure driving fun for you. Or should you decide to go with the 1.4L turbocharged engine, things get even more interesting. Sonic achieved 0–60 mph in less than 8 seconds on the test track. Whether you’re commuting during the week or going on a long road trip for the weekend, Sonic small cars are ready to take you there. The 1.4 turbocharged engine, standard on the LTZ, Dusk and RS and available on LT, offers a maximum range of up to 485 highway miles on a single tank of gas. It’s all possible thanks to engineering technology in performance and design. The available 1.4L turbocharged engine and 6-speed manual transmission offer an EPA-estimated 40 MPG highway without sacrificing power or athleticism. If Sonic Hatchback is more your style, you’ll get plenty of room too. Seating for five with 19 cubic feet of cargo space will carry your friends and everything you need. With its 60/40 split-folding rear seat and up to 47.7 cubic feet with the rear seats folded down, you’ll be able to find a configuration that’s just right, whether it’s a trip to the beach or grabbing groceries after work. 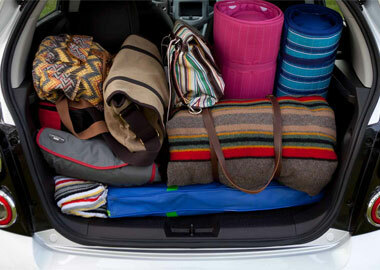 And in Hatchback, you’ll find a convenient hidden storage compartment in the cargo area. The dual-cockpit interior and motorcycle-inspired instrument cluster with Graphite Silver accents get your blood pumping even before you turn the key. The performance-inspired design elements Sonic boasts on the exterior are exactly what you find when you get behind the wheel. Sonic is a driver’s car, so grab hold of the 3-spoke steering wheel designed for optimal grip and hold on tight. Kick back and enjoy the comfort of perforated leatherette seats in the LTZ or the leather-appointed seats with sueded microfiber inserts in the RS and Dusk. They include heated seats for the driver and front passenger. The 2015 Sonic small cars make getting around town a breeze with OnStar® Turn-by-Turn Navigation, standard for the first six months. Just press the button and an OnStar Advisor will guide you exactly where you want to go. Sonic offers reliable 4G LTE Wi-Fi connectivity through OnStar.® The powerful signal gives you and your passengers the ability to seamlessly connect up to seven devices to the Internet, giving you the freedom to roam while connected. The available Chevrolet MyLink Radio starts with a 7-inch diagonal full-color display that lets you stay connected in style. A touch-screen menu connects you to everything you need and, when the vehicle is in park, allows you to project video and even personal photo albums onto the screen from your phone. Connect your compatible smartphone via Bluetooth® wireless technology and listen to music, get directions or make phone calls all with the touch of a fingertip. 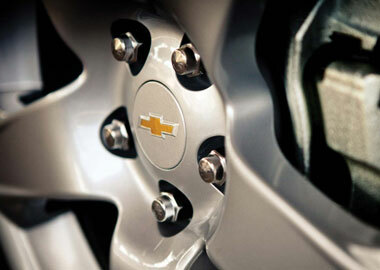 Chevrolet is the first vehicle manufacturer to offer Siri Eyes Free to select iPhone® users. Siri lets you take charge with your hands on the wheel and your eyes on the road. The system allows limited hands-free interaction when you really need it for important messages. That way, you can make driving Sonic your main focus. Listen to commercial-free programs through the three-month trial of SiriusXM Satellite Radio. Or stream your favorite audio services like TuneIn global Internet radio, Pandora® Internet Radio† and Stitcher SmartRadio™. You can also use your own music library through the available Bluetooth® audio streaming feature for select smartphones. Just download the TuneIn Radio, Pandora Internet Radio or Stitcher SmartRadio app to your mobile device. With Variable Valve Timing, you’ll experience sporty driving that efficiently conserves fuel. Marry all of this with a stiff frame and back it with a 5-year/100,000-mile powertrain warranty. Now you’re ready to take on all the city has to offer. If a moderate-to-severe collision does occur, Sonic is designed to respond quickly. It’s the first and only car in its class with 10 standard air bags†. Sensors throughout the vehicle determine how many air bags deploy — including knee air bags for the driver and front passenger. The cabin is reinforced with high-strength steel throughout. Meanwhile, front and rear “crush zones” are designed to compress in a controlled manner, helping absorb and channel energy away from the cabin. When you shift into reverse, the display will appear on your Chevrolet MyLink Radio screen to let you see if anything is in your way. Lane Departure Warning will alert you if Sonic begins to drift across a lane without signaling.